If you read our recent post about the Top 10 Austrian ski resorts on Facebook, you will have seen that Saalbach Hinterglemm tops that list with over 22,000 fans. RD: Saalbach now has more than 22,000 fans on Facebook – has social media become a key marketing tool for Saalbach? 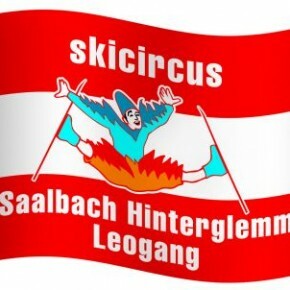 PK: We started with our fanpage for Saalbach Hinterglemm early on and it grew quicker than most other regions. In our opinion, the main reason for our success in social media is that we do not use it as a usual marketing tool. Of course, it is a part of our marketing, but the communication is different. Our facebook fanpage is like a direct line to us: dialogue instead of monologue. RD: You have used photo competitions such as VIP tickets to see David Hasselhof on Facebook to promote Saalbach – can you tell use more about these promotions? PK: Competitions and promotions are often created at short notice, maybe during a spontaneous brain-storming session, while having a cup of coffee. But some are planned on a long-term basis. What we notice is the more our fans have to deliver in a competition (like videos or photos etc), the less they interact. So, sometimes smallest contests with rather banal prizes cause more interaction. PK: We only started that in April 2010, the last posting (Big Apple) was made by a very true fan from Scotland who took our Montelino to Scotland, Mallorca and now the USA! You can look at the summary of his trip here. RD: How have you used your own website blog to promote Saalbach? PK: We use the blog to tell stories, not to promote Saalbach. But that’s a nice side effect. RD: What do you see as the future for social networking for Saalbach? PK: In the future (as today) people will prefer to get their information from a reliable “friend” than from advertising, official websites or leaflets. So getting a reputation of being a “reliable friend” and an authentic source for information is very important today – to be the one to be trusted tomorrow. It strikes me that Paul and his team at Saalbach understand social media and how it works. Their engagement is great and the Montelino might be a lift from ‘Amelie’, but it’s a brilliant piece of marketing. Chance to win VIP Tickets to see The Hoff?!? I’m definitely going to start following Salbaach! This is fantastic – well done Saalbach! Ski Independence are great fans of your page. 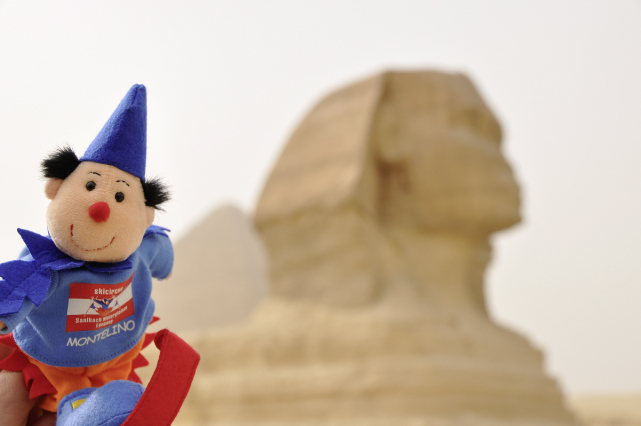 Maybe it’s time for a pic of Montelino in Edinburgh? Is Claudia a similar idea to Montelino but from from Switzerland Tourism? Or is she a Ski Independence creation?